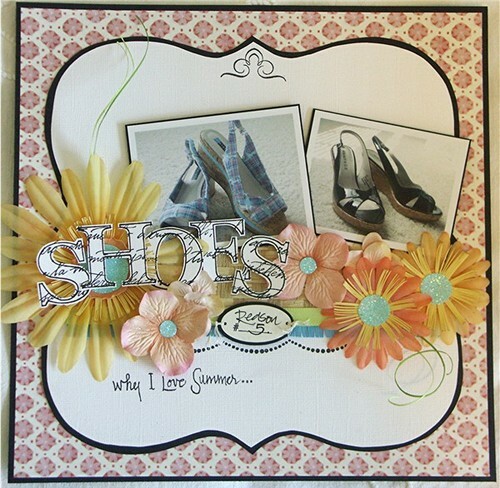 Valerie's Lil Spot For Scrappers Blog: Loving Every moment of my life...so I scrap it!! Valerie-with the biggest heart of gold and always a smile. She could sell you the moon if you let her! 1 crazy mom that doesn't have enough time in the day to get everything accomplished! Wife to Steve, mother to Sparky and Maggie the best dogs in the world. 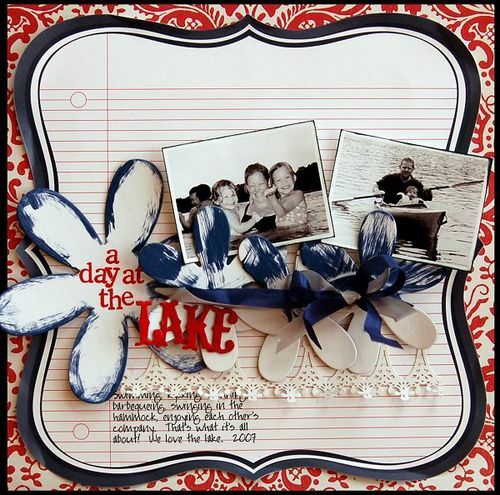 Paradise Layout Class taught last summer. The palm tree is my design. Click each photo for a closer look! A 10 x 13 shadow box "work in progress". Sailboat and seafood are all made from cardstock. A gift for a dear friend. And this one was for me! Thanks for looking :) Scroll down for 2 more layouts. Ok Valerie, game on with the blog wars! ...to all of our friends & family. We are soooo busy with life etc., posting on the blog falls to the bottom of the list! 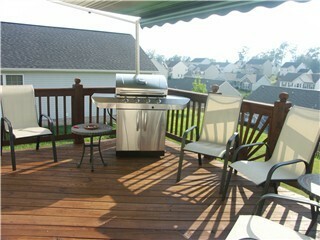 ...THE DECK IS DONE!!! Now, time to relax, enjoy it, live a little...NOT! Nope, get a phone call, Real Estate Broker tour on Friday...geez, gotta finish the deck ASAP, mow the lawn, spit shine the house, and work a little in between. Whew! It's all done! Took me 8 [yes, I said eight] days to stain the deck, but like I said, "It's BIG!" 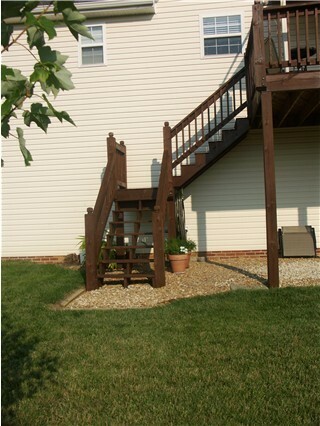 10x14 with tons of railing, not to mention the stairs. Have you heard of "Celebrity Circus" running on TV? This was the non-celebrity circus here in West (by God) Virginia. Hanging over railings, etc, without a ladder tall enough to reach railing posts. Was tons of fun. Put in almost nine hours a day each day racing the sun dial (can't stain in full sun or you end up with sticky mess). I know it sounds like I am whining, but I loved every minute of it! I love to paint. I think sometimes I missed my calling. But I do find it incredibly relaxing (believe it or not). 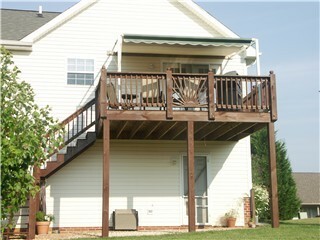 The awning is a "Sunsetter" awning & came with the house. Next one, if there is one, will be remote controlled!!! Jamie is about 40 minutes away so I am off to deal with dinner. Start my new job in Chesapeake on the 21st of this month. Stayed tuned for details on that! Peace out & happy Sunday! Moving back to Virginia 2 years ahead of schedule. Jamie retired from the United States Coast Guard after 23 years of dedicated service to accept a job offer he couldn't pass up. He is now working back in Chesapeake and I am here keeping house, working part time, and this week I have the awesome job of staining the deck (weather permitting!). Valerie on Been working & scrapping!